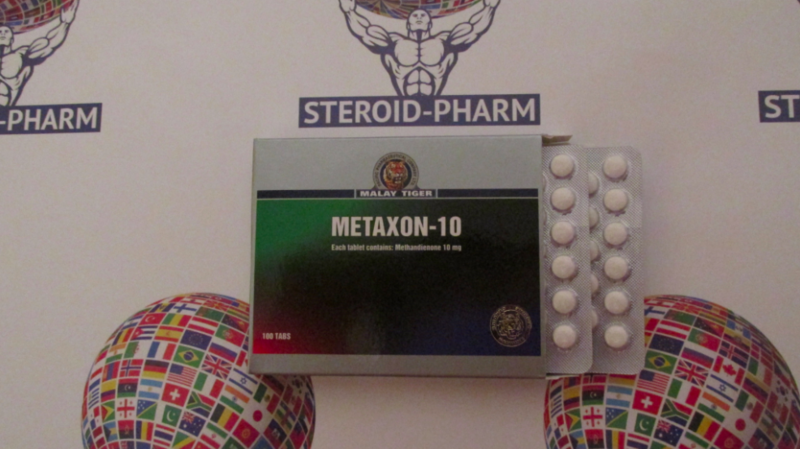 Metaxone firm Malay Tiger is an anabolic steroid, which is produced exclusively in the form of tablets. For the drug is characterized by anabolic hyperactivity - 200% of testosterone, as a result of which the course of Methane, consisting of six weeks increases muscle mass by 7-9 kg. With an accurate, correctly formulated course, the loss of muscle mass after the end of admission is minimal. The Methan solo course is the most popular among beginners who are just starting to take steroid medications. It has a high efficiency, which increases when used in various combinations. 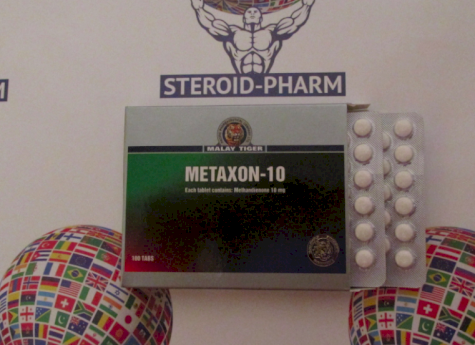 The most effective in terms of the intensity of the set of muscle mass is the combination of Metaxone with Deca (Nandrolone), Trenbolone and Testosterone. A very effective combination of Nandrolone + Methane: when taking this combined course, the effect of each drug is enhanced, and the side effects that can occur when taking the drugs separately from one another are enhanced. causes a slight accumulation of fluid in the body, as it has a high androgenic index (50% of testosterone). The dosage of Methane is about 30 to 50 mg per day, and depends on the weight of the athlete, the purpose of the application, and the combination of the course. The specified dose of the drug is divided into three equal doses 20 minutes before meals: the first reception - immediately after sleep, the next two - throughout the day with an interval of 4 hours. You cannot independently increase the dose used, as this can cause various side effects due to the high androgenic index of the drug (gynecomastia, pressure build-up, swelling, fluid accumulation). To eliminate all possible side effects of the drug, use a combined course of Methane and Proviron or Tamoxifen. 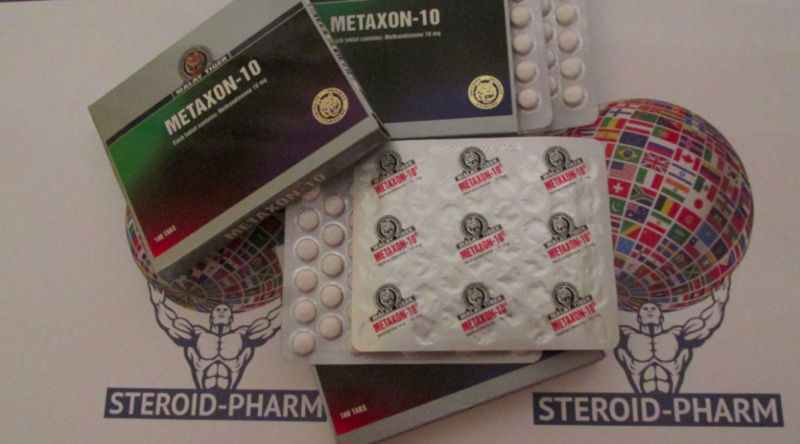 Metaxone converts testosterone into estrogens, with the potential for side effects such as accumulation of water in muscle tissues, edema, increased blood pressure, gynecomastia, etc. The drug is taken to increase muscle mass in the shortest possible time, obtaining a muscular effect, which is often associated with accumulation Water in the body. Similar estrogenic reactions are eliminated when using antiestrogen drugs during the course (Providad, Proviron), and after the course (Clomid, Tamoxifen, Clenbuterol). Not a little important point is the correct dosage of the drug. The fact is that exceeding the dosage of the drug can cause side effects. The required dose of the drug is calculated based on the total body weight used. Beginners who first take the drug should not take a dose of more than 40 mg.